Frostmourne hungers! At long last, the Lich King has launched his campaign against the living from Northrend. Behold Arthas' power as he lights up before you with this colossal figure! 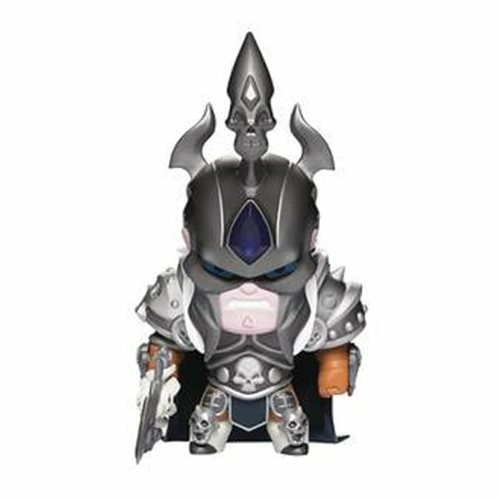 The World of Warcraft Colossal Cute but Deadly Arthas 8-Inch Vinyl Figure measures approximately 8-inches tall and is made of plastic vinyl. The vinyl figure comes with 3 pre-installed batteries and instructions for replacement are included. Ages 15 and up.